At the outset let me state that I had very little prior experience with food from Vietnam except for attending a few festivals here and trying out some Vietnamese restaurants in Pondicherry, a place which like Vietnam has a bit of French connection. So, for me the visit of Chef Nguyen Hung Thong from Sheraton, Hanoi provided a great opportunity to learn about this cuisine. Addressing the bloggers invited for a preview, the chef stressed that Vietnamese cuisine is not oily at all, and it is known for the freshness of the ingredients as well as the simplicity of preparation and subtle flavors of the food. He had specifically brought over herbs and spices from his country for this festival. To demonstrate his point, Chef Nguyen took us to the Pho counter and prepared a version of the signature noodle broth of Vietnam which had chicken, herbs and lots of diced spring onions. He told us that the beef version is more popular in his country, and the soup had originated from North Vietnam. The light soup looked very appetizing with the red chilli pieces on top and tasted divine too. 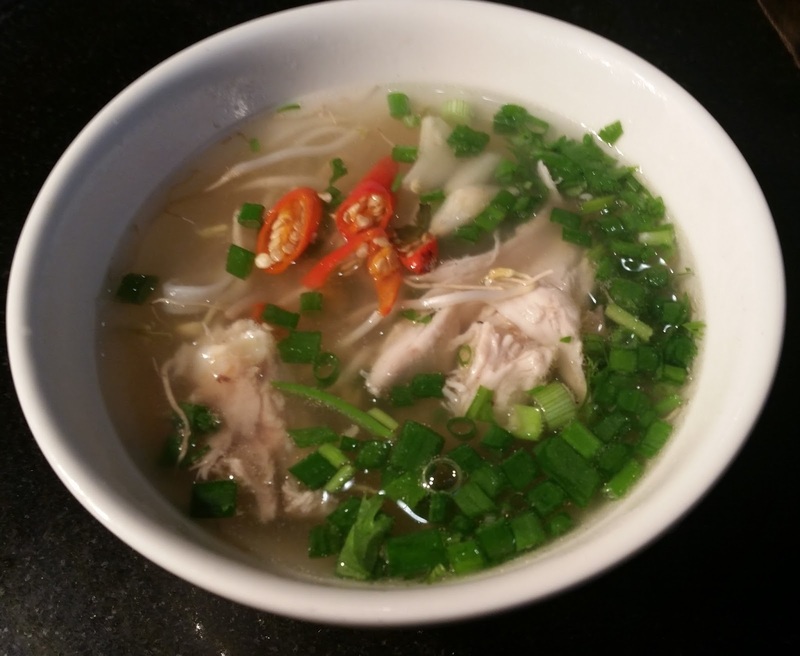 A perfect example of a healthy recipe which is the hallmark of Vietnamese cuisine. Next we turned to the starters and salad counter. 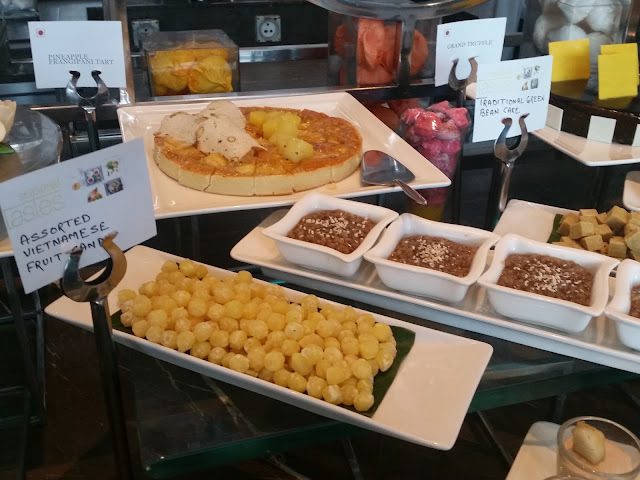 I had decided to mainly try the Vietnamese items on the menu, which also had the normal buffet items. The Vietnamese Spring Rolls were the first thing on my plate – a whole lot of shredded vegetables and noodles rolled in rice paper. The raw flavours of the vegetables were apparent as I dug into it, along with the dip kept just next to it. There were around four Vietnamese salads at the counter – my favorite was the Banana Blossom and Shredded Chicken Salad, an unlikely combo of banana flower and chicken breast. This was a a refreshingly new way to use a mocha (as banana flower is called in my native Bengali). The Sesame Flavoured Seafood and Vermicelli Salad were also flavorful. 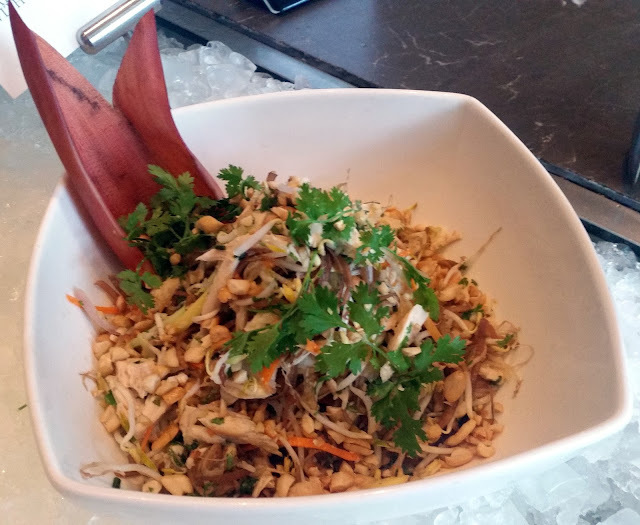 There was a Shredded Green Mango salad which looked appetizing, but the taste was not to my liking. My next stop was at the live Wok Station. I picked up some fresh prawn and squids along with some sprouts and spring onions. I wanted to see how spicy Vietnamese sauces are, and asked for a spiciest version to be prepared. The output was tangy and brown in colour but not very spicy. I also tried a few experimentations done at the wok by fellow bloggers and some of them tasted really nice. Chef Mukesh sent us some prawns with his own combination of sauces, and that was brilliant. 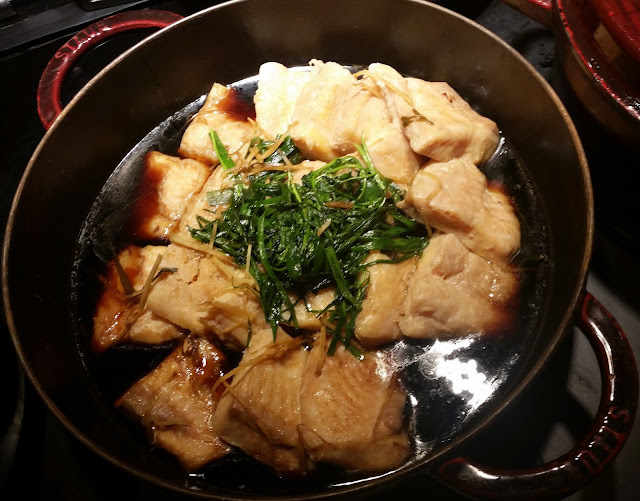 The main courses had a fish dish – Steamed Fish with Soya Sauce. I went for it first, but for me the sauce was too subtle to enjoy. I tried this with some Wok Fried Flat Noodles with vegetables, which was quite nice though. The highlight of the main courses was Grilled Duck with Galangal – in a sauce which had diverse flavors of lime, turmeric and fish paste. But it was not true to its name, being low on galangal. 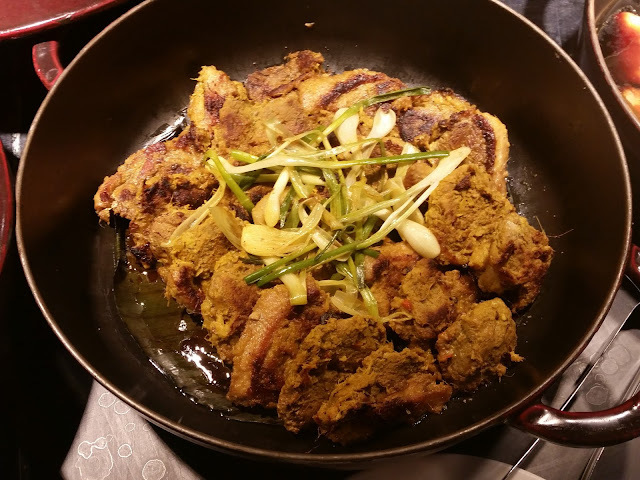 The duck meat was fibrous, but I loved the loads of flavour in the masala so much that a second helping along with some more noodles was difficult to resist. After trying out all the Vietnamese dishes I went for a recce of the regular buffet and ended up going berserk on sushis, dumplings, pita bread with hummus, roasted chicken and a few other beef and fish main courses. The sheer variety of spread in the Seasonal Tastes buffet never disappoints you. It was dessert time. 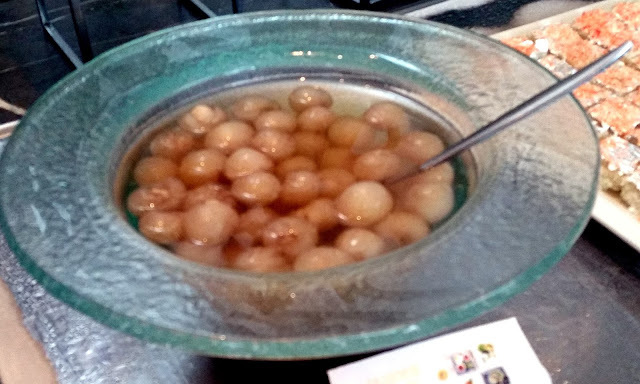 For me the litchi like Longan fruit infused with Lotus seeds and in a sweet syrup was easily the best. The Vietnamese candies which were not very sweet suited my palate. Friends liked the Green Bean Cake, for me it was average. I did not like the Ginger and Caramel Flavored Sticky Rice based dessert. The usual caveat – I am not a sweet lover, even my wife does not take my dessert recos seriously. Overall, it was a very worthwhile afternoon. If you like subtlety of flavours in your food, Vietnamese cuisine is for you. Also, even after a hearty meal, you feel surprisingly light. 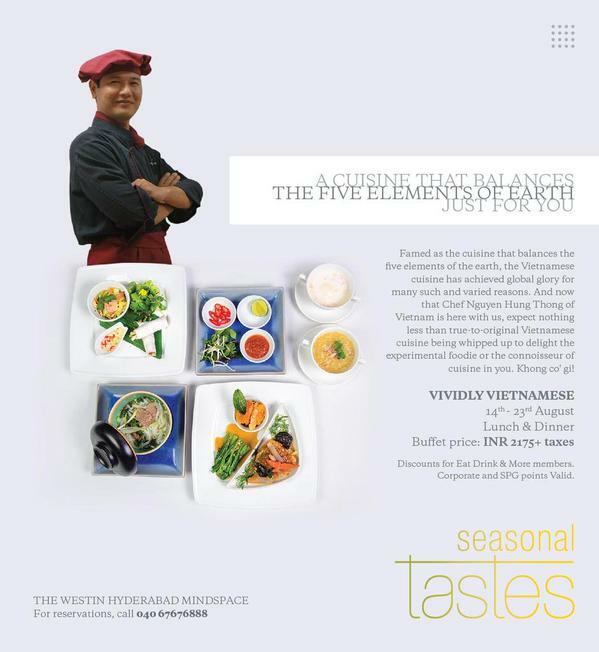 The Vividly Vietnamese festival is on till August 23rd as part of the buffet at Seasonal Tastes. 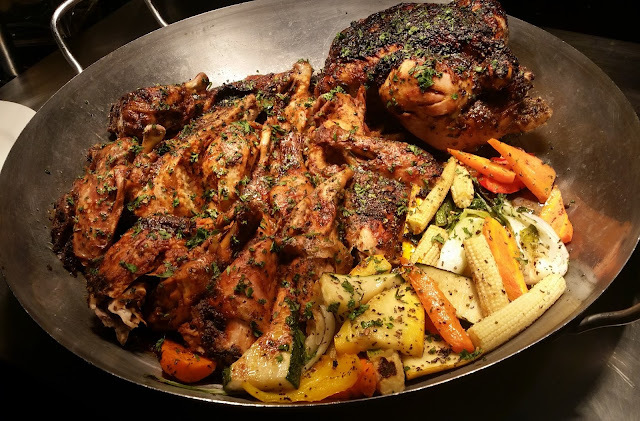 The buffet is priced around Rs 1450 for lunch and Rs 1650 for dinner.